When did Jen Walters start channeling Jen Miller (Loco)? Burrrrrrrn. 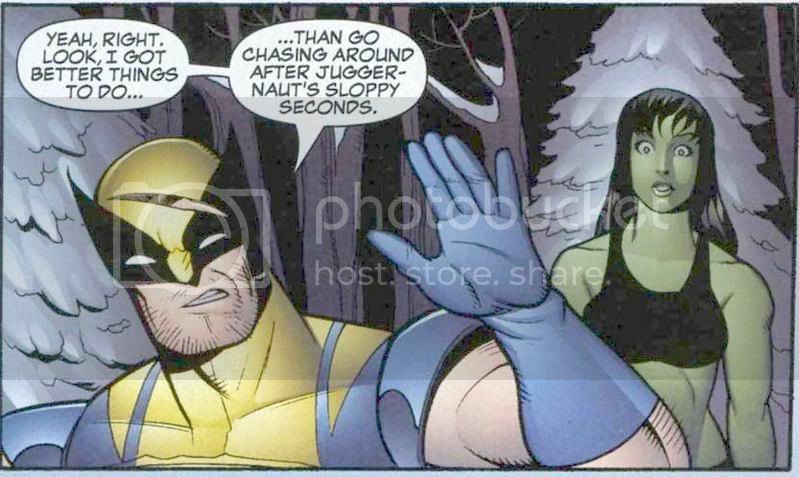 Guess Wolverine doesn't have a thing for tall green chicks. Daaaaamn! 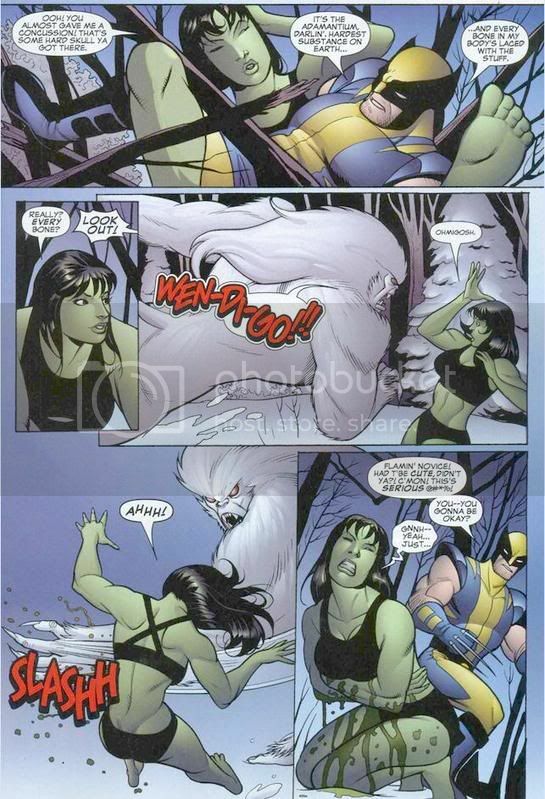 I think I hear a bell, because She-Hulk just got SCHOOLED. Here's a picture of the sloppiness of those seconds, brought to you by the fine folk over at Rule 34. Hercules cares not where yon harlot's been. He will hit it like a thunderbolt from Olympus.